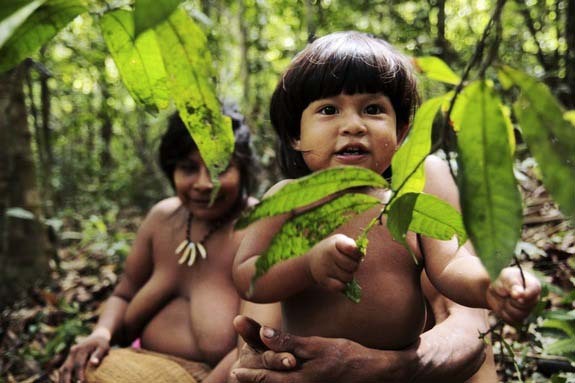 The Awa or Guaja are an endangered indigenous group of people living in the eastern Amazon forests of Brazil. Approximately 350 members survive, and 100 of those have no contact with the outside world. 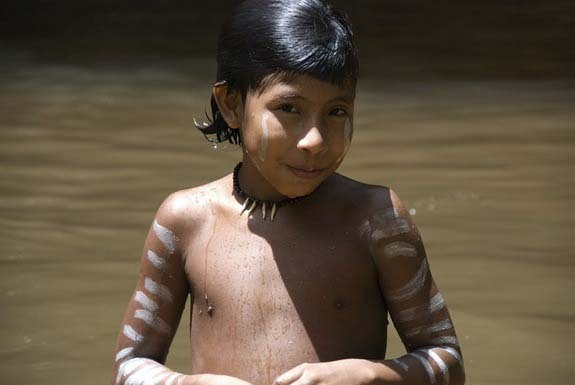 Their language is in the Tupi-Guarani family. Originally living in settlements, they adopted a nomadic lifestyle about 1800 to escape incursions by Europeans. During the 19th century, they came under increasing attack by settlers in the region, who cleared most of the forests from their land. From the mid-1980s onward, some Awa moved to government-established settlements, but for the most part they were able to maintain their traditional way of life, living entirely off their forests, in nomadic groups of a few dozen people, with little or no contact with the outside world. In 1982, the Brazilian government received a loan of 900 million USD from the World Bank and the European Union. One condition of this loan was that the lands of certain indigenous peoples (including the Awa) would be demarcated and protected. This was particularly important for the Awa because their forests were increasingly being invaded by outsiders. There were many cases of tribespeople being killed by settlers, but perhaps more significantly, the forest on which they depend was being destroyed by logging and land clearance for farming. Without government intervention it seemed very likely that the Awa and their ancient culture would become extinct. However, the Brazilian government was extraordinarily slow to act on its commitment. It took twenty years of sustained pressure from campaigning organizations such as Survival International and the Forest Peoples Programme before, in March 2003, the Awa's land was finally demarcated. During this time, encroachment on their land and a series of massacres had reduced Awa numbers to about 300, of whom only about 60 were still living their traditional, isolated, hunter-gatherer way of life. In late 2011, illegal loggers burned an 8 year old Awa girl alive, after she wandered out of her village. The murder happened inside a protected area in the state of Maranhao. Luis Carlos Guajajaras, a leader from another people, said that the girl had been killed as a warning to other native peoples living in the protected area. According to the Indigenous Missionary Council about 450 indigenous people were murdered between 2003 and 2010. An investigation discovered the Awa camp in question had been destroyed by loggers. 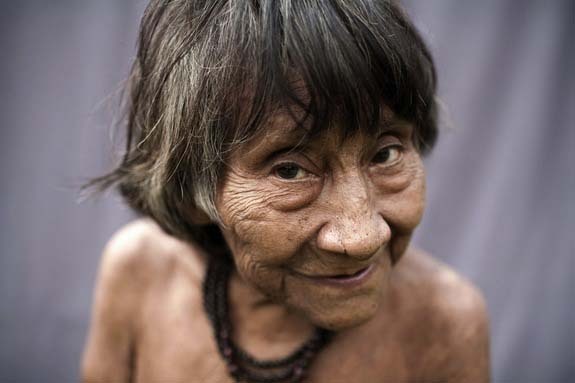 Campaigners say the Brazilian government is failing to protect one of the world's most endangered tribes. The Awa people are believed to number just 450, but their territory has attracted thousands of loggers and settlers. Last year a judge ordered all outsiders should leave the area within 12 months. 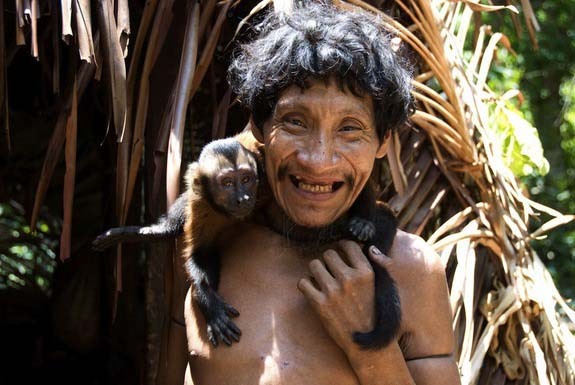 The Awa live in north eastern Brazil and survive as hunter-gatherers in remote areas of rainforest. Of their number around 100 have never had contact with outsiders. 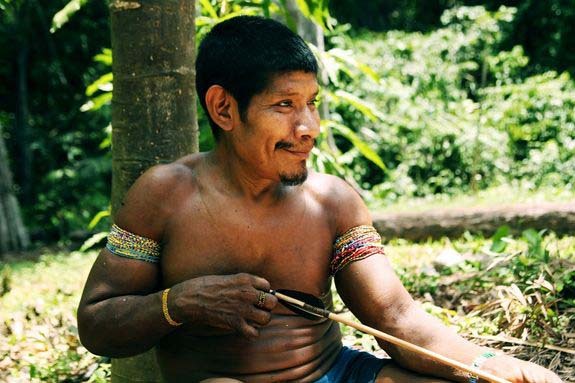 A new international campaign hopes to save a group of people who have been dubbed "the most threatened tribe in the world" - the Awa tribe of Brazil - from encroaching outsiders who are gobbling up their land. 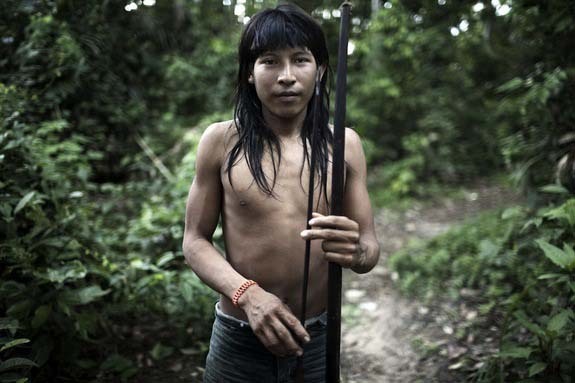 The Awa live in the Brazilian state of Maranhao on lands set aside for their hunter-gatherer lifestyle. But according to the tribal advocacy group Survival International, which is leading the new campaign, the tribe is increasingly under threat by illegal settlement and logging on their lands. One reserve set aside for the tribe, the Awa Territory, is one-third deforested, its trees stripped by illegal logging operations, some with sawmills operating only miles from Awa land. 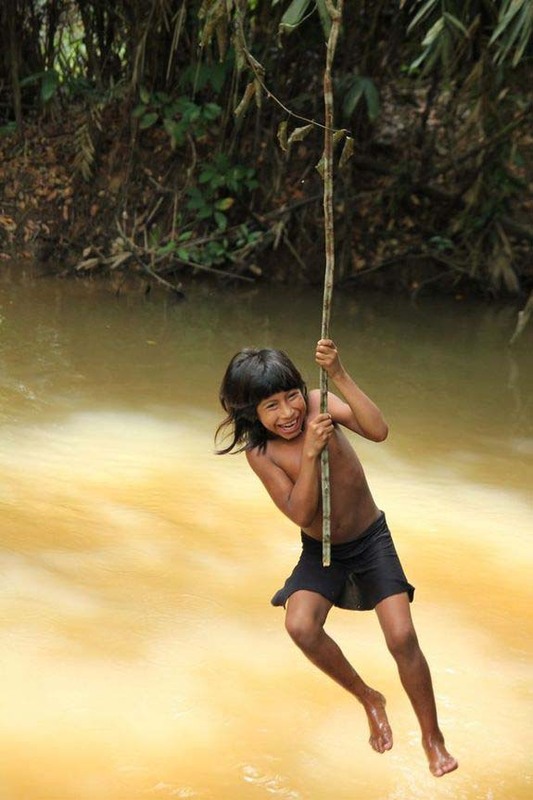 New pictures have been released of an isolated tribe living in rainforest on the Brazil-Peru border. 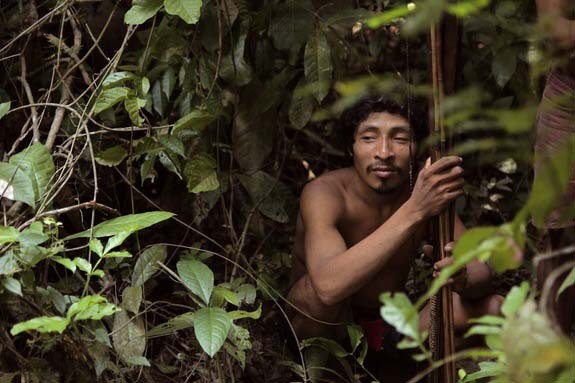 Brazil monitors many such tribes from the air, and they are known as "uncontacted" because they have only limited contact dealings with the outside world. Photographs of the same tribe were released to the world two years ago. Campaigners say the Panoan Indians are threatened by a rise in illegal logging on the Peruvian side of the border. Contrary to many news stories, the isolated group has actually been monitored from a distance for decades, past and current Brazilian government officials say. No one, however, is known to have had a face-to-face meeting with the nomadic tribe, which lives along the Peru-Brazil border. And no one knows how much, if anything, these rain forest people know about the outside world. The tribe whose name remains unknown was first discovered by outsiders around 1910, according to JosŽ Carlos Meirelles, an official with Brazil's Indian-protection agency (FUNAI). New photos of supposedly "uncontacted" tribes near the Peru-Brazil border have sparked debate. Now Peru officials plan to investigate claims that oil interests threaten some groups. 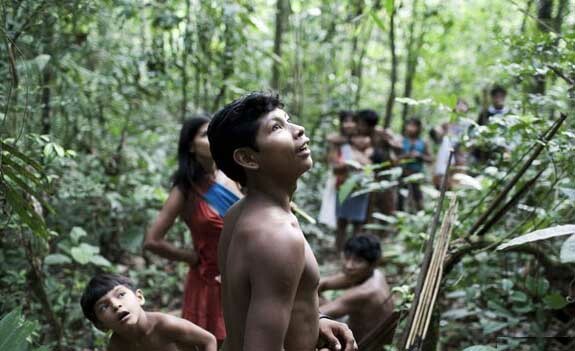 A handout photo from the Brazilian government shows members of an "uncontacted" Amazon tribe spotted during a flight over the state of Acre near the border with Peru.